If you're interested in independent, international, classic, or documentary films, you're in luck. 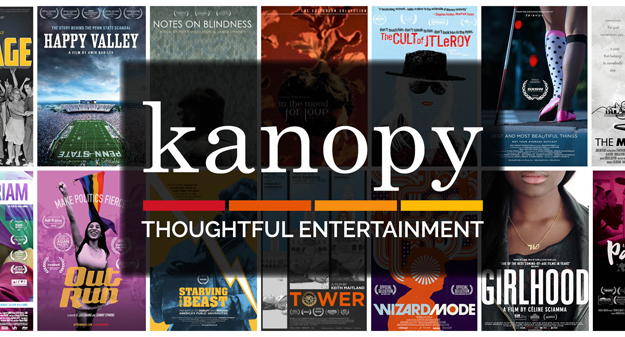 Get out your library card and sign up for Kanopy, our new on-demand video streaming service. Go to orcaslibary.kanopystreaming.com and create an account by clicking on the SIGN UP button. Add your library card number. How many titles can I watch? You can watch a maximum of 5 videos per month. You will receive 5 play credits every month. Once you press play on a video, you will automatically use one (1) play credit. When will my play credits reset? Play credits reset on the 1st of the month. Once you have used your 5 credits, you will not be able to play any films until the new month starts when you will be given a fresh quota of 5 play credits again. How can I keep track of my videos? You can track your viewing activity by visiting My Dashboard > Recently Viewed. The Recently Viewed page will list every video you have ever watched, even after the 3-day period has ended. If a video is still within the 3-day viewing period, the list will include the amount of time left on that viewing period. Can I create my own video lists? You can save titles to watch at a later date by clicking on +My List. You can access the +MyList option by either hovering over the title, or clicking on the title, either way will work. Titles are then added to your Watchlist. You can see your saved titles by clicking on your username at the top of the page. You can also create and share playlists of videos using the playlists feature. What devices can you use to watch videos? You can watch videos on a computer or mobile device using a web browser. You will need an internet connection to watch videos on Kanopy. Films cannot be downloaded to a computer or device; they only stream through the internet. Can visually impaired users access the films? Yes, Kanopy's website and video player are both fully compatible with all screen readers on desktop browsers, as well as with iOS and Android devices. Need more help? Visit Kanopy's Help Center. http://help.kanopystreaming.com/hc/en-us/categories/200923998-For-Viewers.